Prime Minister Scott Morrison’s announcement today of a $75 million funding contribution towards the Townsville Channel Capacity Upgrade means works can now get underway, says Port of Townsville Limited. The $193 million project involves widening of the shipping channels to accommodate larger ships and is the vital first stage of the $1.64 billion Townsville Port Expansion. Port of Townsville Limited chair Renita Garard said that the funding announcement by the Federal Government was a significant milestone in the port’s 154-year history. “Having certainty that the port can accept larger ships is a catalyst to attract and retain investment into the region, just as the port has underpinned economic development and growth of this region since 1864,” Ms Garard said. 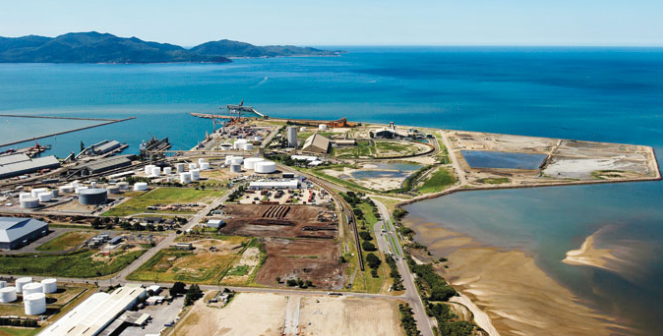 Townsville Port is Australia's largest sugar, zinc, lead, copper and fertiliser port and Northern Australia’s largest container and automotive port. Port chief executive officer Ranee Crosby said the channel widening was essential for port growth. “Ships are getting bigger, making channel widening vital. Bigger ships coming to Townsville will mean lower freight costs, better connectivity to global markets, as well as allowing larger cruise ships to visit the city, which will further boost cruise tourism in the region,” Ms Crosby said. The Queensland Government has committed $75 million towards the channel works, and Port of Townsville Limited will fund $43 million. Queensland and Commonwealth environmental approvals for the project are in place.